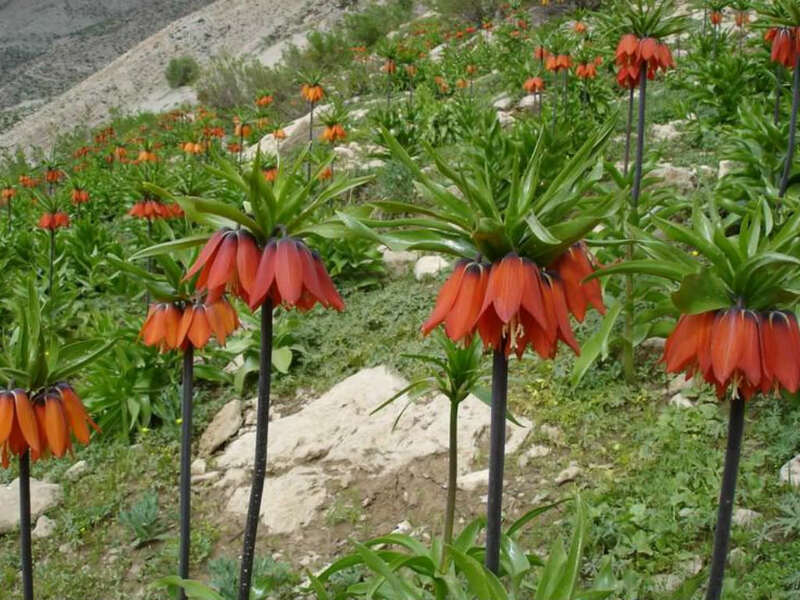 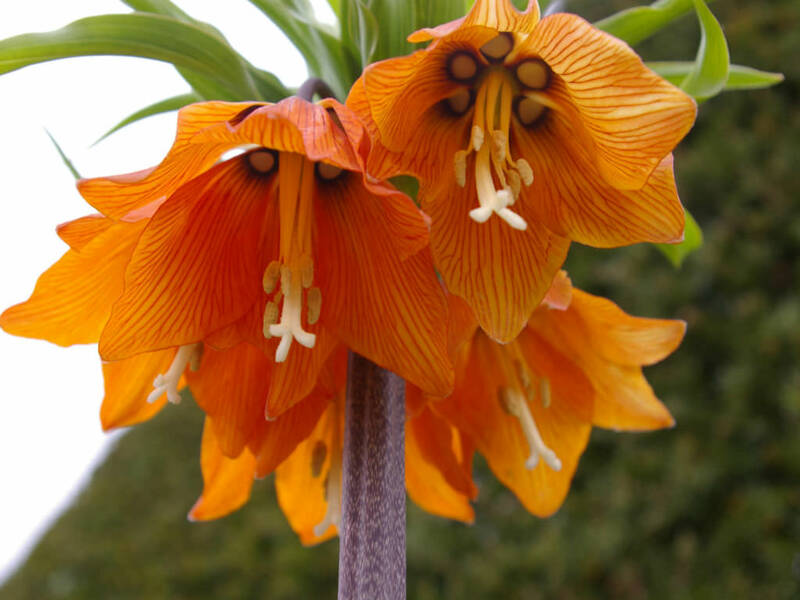 Fritillaria imperialis is an impressive flowering plant that grows up to 4 feet (1.2 m) tall. 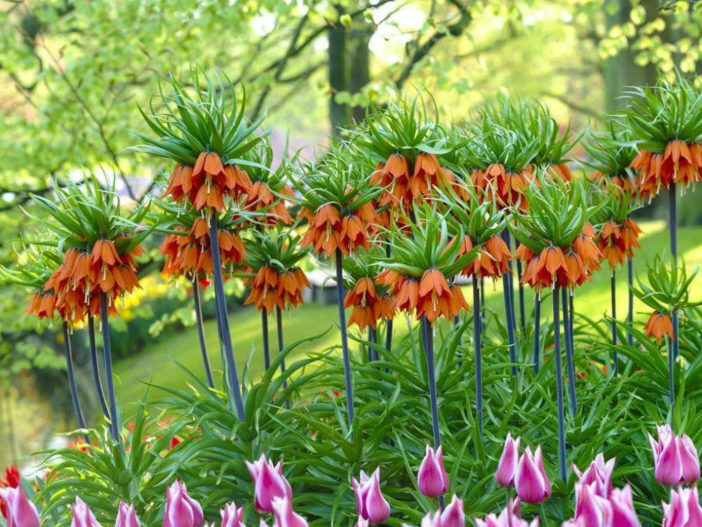 Each bulb produces a thick, stout, upright, ramrod-straight flowering stem which rises up to 4 feet (1.2 m) tall. 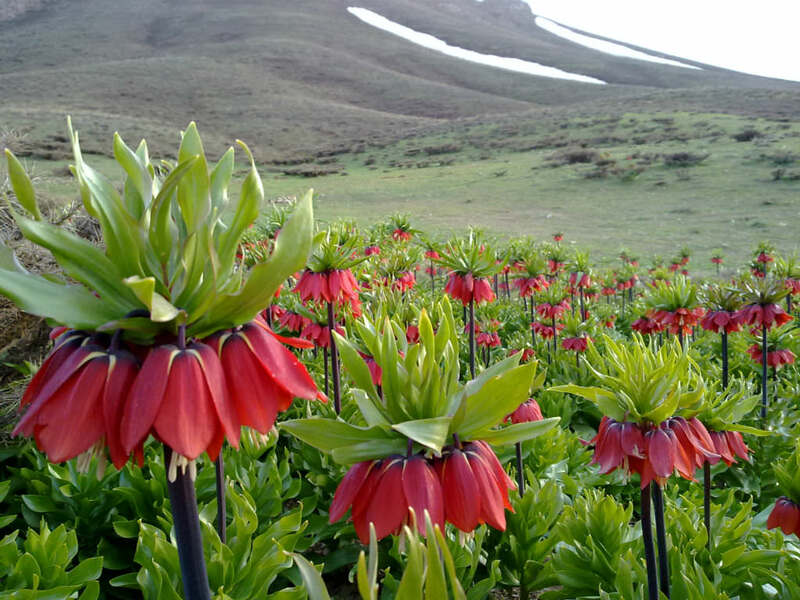 The green stem leaves are lance-shaped, up to 6 inches (15 cm) long, with wavy margins appear in whorls around the lower 1/2 of the stem. 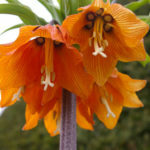 Each stem is topped in spring with a crown of orange-red, drooping, bell-shaped flowers topped by a small pineapple-like tuft of leaf-like bracts. 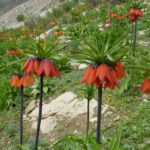 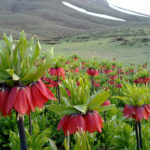 Native to a wide stretch from Turkey and Iraq across the plateau of Iran to Afghanistan, Pakistan and the Himalayan foothills.